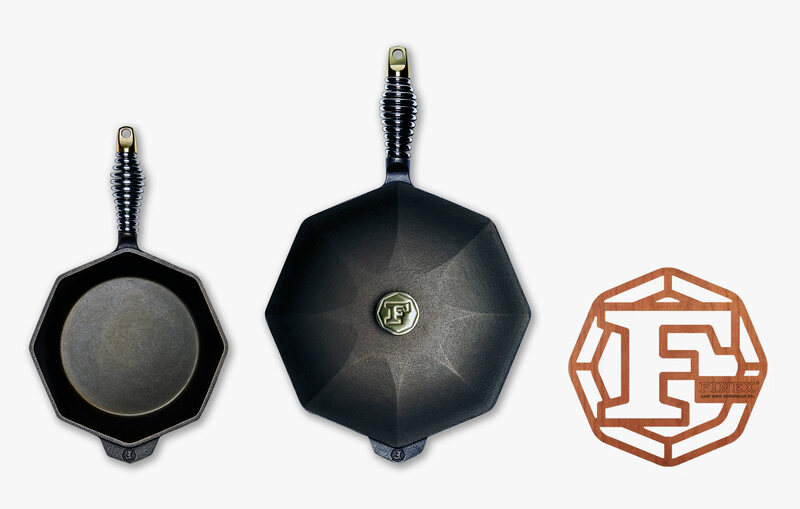 4-Piece Cast Iron Cookware Set | FINEX Cast Iron Cookware Co. Your FINEX cast iron collection begins with this heirloom set. Two incredibly versatile skillets—perfect for for searing, sautéing, baking, steaming or braising a variety of mains and sides for your family and friends. Includes our American Cherry Wood trivet for an elegant finishing touch at your table. Handcrafted American quality and guaranteed good forever.